COLUMBIA, S.C. (April 11, 2014) – The Berkley Experience trailer is poised to set up in Kalamazoo, Mich. Consumers are encouraged to flock to the D&R Sports Center April 17 – 19. 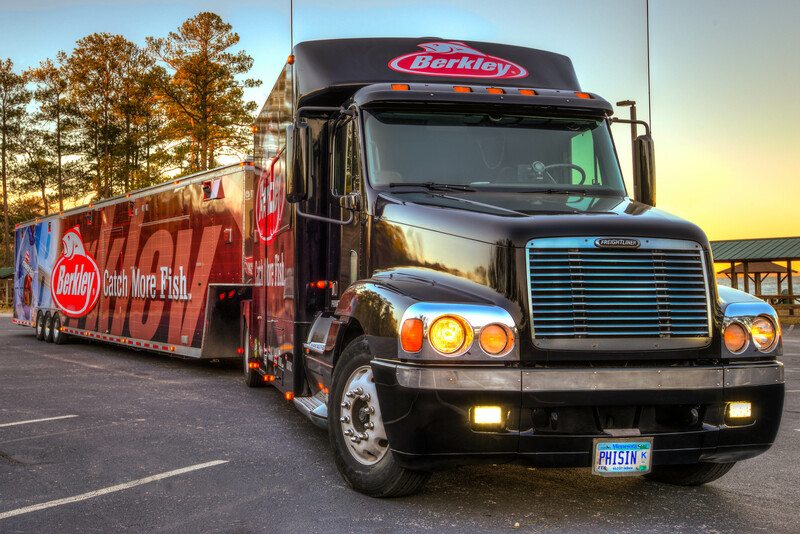 Each year the Berkley Experience Trailer continues to bring new and exciting things to consumers. This year is no different, redesigning the entire trailer for a better experience all around. In its 9th consecutive year, the Berkley Experience is on the road giving families the full Berkley experience. “We are extremely excited about the upgrades to the Trailer and the experiences that anglers of all skill levels will have this year,” said Andrew Marks, Berkley Marketing Director. “Our Experience Trailer team is ready to answer your questions and help anglers of all ages and skill levels learn about fishing, our passion and our company’s heritage”. For more information about the Berkley Experience Trailer visit https://www.berkley-fishing.com/experience. About Pure Fishing, Inc. Pure Fishing, Inc. is a leading global provider of fishing tackle, lures, rods and reels with a portfolio of brands that includes Abu Garcia®, All Star®, Berkley®, Chub™, Fenwick®, Gulp!®, Hardy & Greys™, Hodgman®, Johnson™, Mitchell®, PENN®, Pflueger®, Sébile®, SevenStrand®, Shakespeare®, SpiderWire®, Stren®, Trilene® and Ugly Stik®. Pure Fishing, Inc. operates in 22 countries with a dedicated workforce conversant in 28 languages. Pure Fishing, Inc. is a subsidiary of Jarden Corporation and is part of the Jarden Outdoor Solutions business segment, a leader in developing outdoor and active lifestyle products. Additional information can be found at https://www.purefishing.com.